In this book, which has important implications for our vision of the female past, Suzanne Lebsock examines the question, Did the position of women in America deteriorate or improve in the first half of the nineteenth century? Focusing on Petersburg, Virginia, Professor Lebsock is able to demonstrate and explain how the status of women could change for the better in an antifeminist environment. She weaves the experiences of individual women together with general social trends, to show, for example, how women's lives were changing in response to the economy and the institutions of property ownership and slavery. 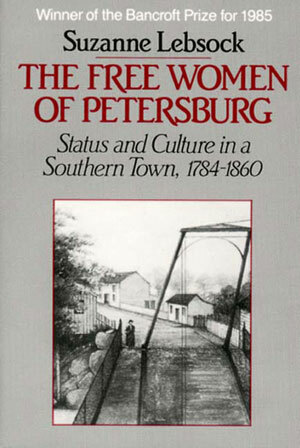 By looking at what the Petersburg women did and thought and comparing their behavior with that of men, Lebsock discovers that they placed high value on economic security, on the personal, on the religious, and on the interests of other women. In a society committed to materialism, male dominance, and the maintenance of slavery, their influence was subversive. They operated from an alternative value system, indeed a distinct female culture.